A spooky, unexplained phenomenon changed the way Robert Norman viewed the ancient Aboriginal sites of Mutawintji National Park. Tucked away off the beaten track between Broken Hill and White Cliffs, Mutawintji National Park has always been a special place. 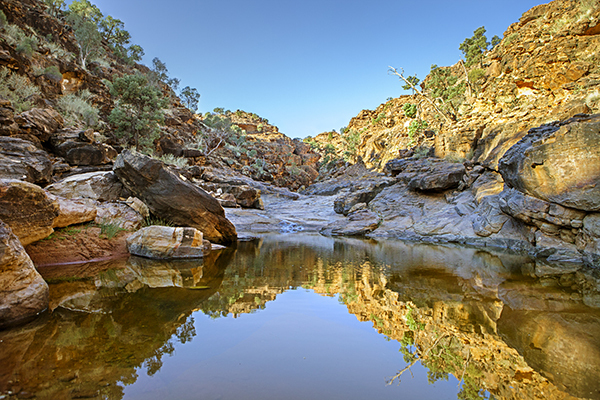 Reminiscent of parts of SA’s beautiful Flinders Ranges, today this small park is a popular 4X4 touring destination. But before that, for millennia, it has been sacred to Aboriginal people. 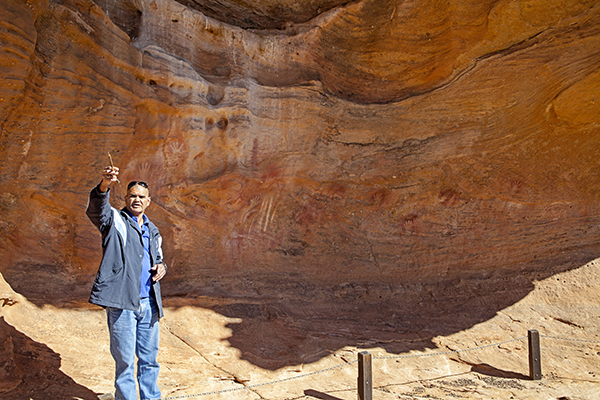 Visiting the park a couple of years back, I listened to one of the Indigenous landowners, Michael, explain the significance of the extensive rock art and engravings. He related an instance where, while visiting a sacred site alone, he was almost pushed over by gusts of wind that blew up out of nowhere as if something was pushing him away. Well educated and built like your average front row rugby player, Michael didn’t come across as easily frightened. However, told by the tribal elders the sudden wind gust was a warning, he no longer visits the park alone or at night, and especially avoids Mutawintji Gorge because of reputed ‘bad spirits’ that frequent this old initiation site. At the time I thought this sounded like a good story for tourists. Later that day our group decided to check out scenic Mutawintji Gorge. With its white sand, orange rock walls and large river gums the location is very photogenic. The rest of the group, having tired of me taking ‘just one more photo’, walked on. 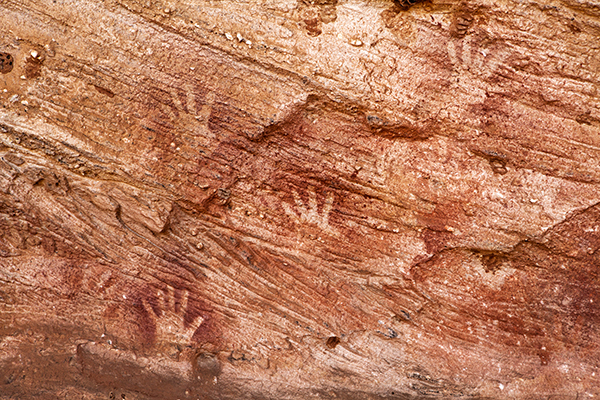 Left alone to my artistic pursuits, I noticed a faint track that led to a nearby rock overhang decorated with ancient Aboriginal hand stencils. While photographing my discovery, a sudden loud whooshing noise close behind my head caused me to instinctively duck down. Having seen a couple of wedge tailed eagles earlier, in my mind’s eye I envisaged one about to pluck out what little hair I had left but, spinning around, there was nothing to be seen. There was nary a breath of breeze to stir the trees and nowhere for a sparrow, let alone an eagle, to go without being seen. I have never been able to come up with a rational explanation for this bizarre experience. Needless to say I was left feeling more than a little uneasy and, developing a sudden need for companionship, hurried off to catch up with the others in my group.